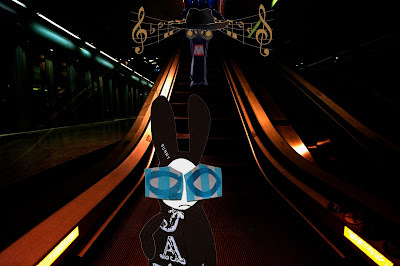 The Wabbit drifted down the escalator thinking about the Phantom of the Metro. He knew the newspaper article was arrant drivel. But all the same - you could never really be sure. Without warning the lights went out. After a few seconds, emergency lights flickered on - but illumination was sparse and spooky. That was when the Wabbit heard the music. He didn't like certain kinds of songs from musicals and he wrinkled his nose. Notes swept around the station. The Wabbit tried to be benevolent. "It's good of the Metro staff to provide music," he thought; "But jazz would be better." He could catch some lyrics and his ears bent back. "Poor fool, poor fool, poor fool is he," said the notes. 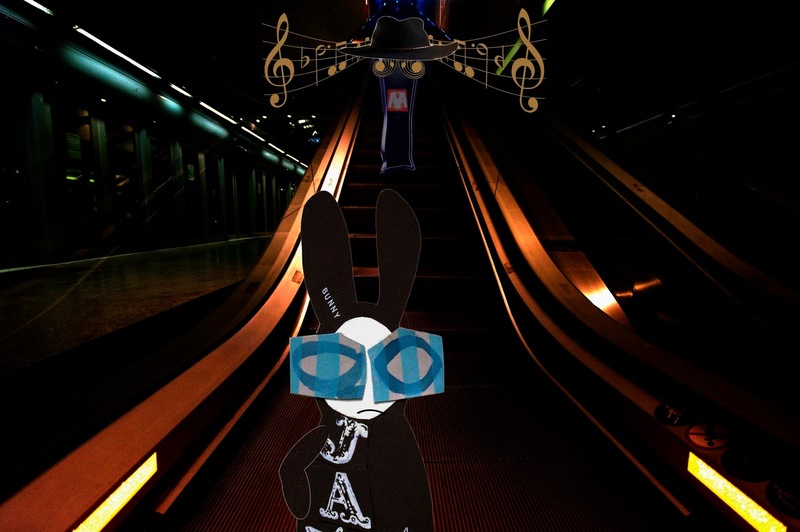 The Wabbit was appalled so he addressed the empty station. "Fools rush in!" he yelled. The station was still, but something was coming down the escalator. The Wabbit knew it without turning back. 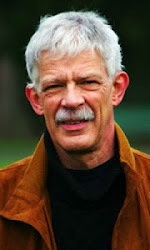 "Shame shame," came a mournful cry. The Wabbit sighed. "I'm right out of sympathy today. I just want to go home." The apparition gurgled a hoarse laugh. "Are you afraid of me?" "I'm afraid not," shrugged the Wabbit. The apparition moaned. "Then turn rabbit, and witness my distress." The Wabbit did not turn, but he spoke at the gloomy station platform. "Are you the Phantom of the Metro?" 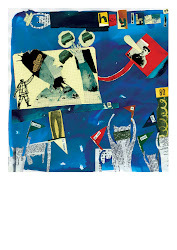 Air shifted around the Wabbit as the apparition swept past. "Follow me," it moaned.